“Just stop up there,” I said, pointing to a wide spot in the sandy track. 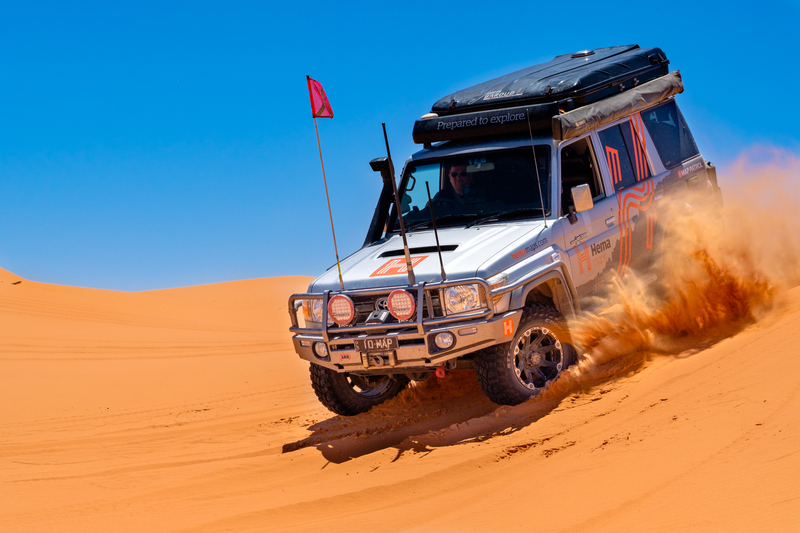 “I need to grab a photo real quick.” The Land Cruiser slowed to a halt, and I hopped out, shutting the door behind me. That’s when the sound of hissing air grabbed my attention—a flat, crap. 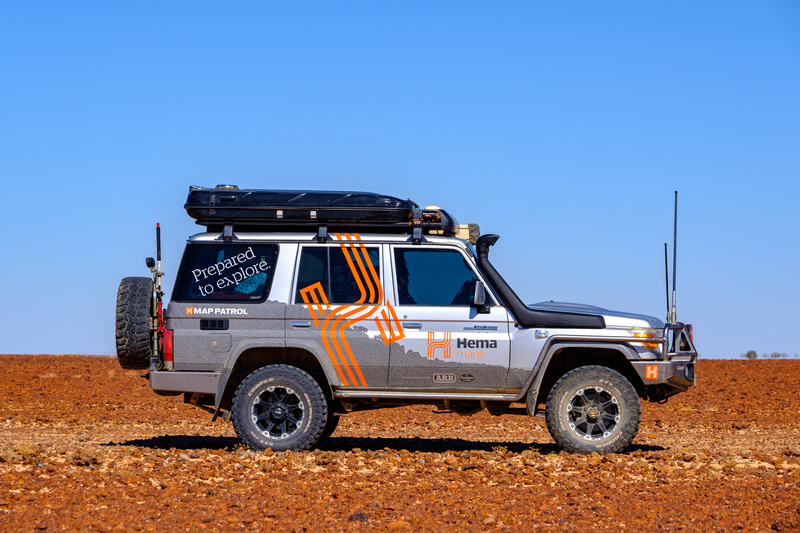 The warning given to me on the other side of the continent suddenly rang out in my memory: “These tires have seen a lot of miles, and they’re due to be changed when you get back. 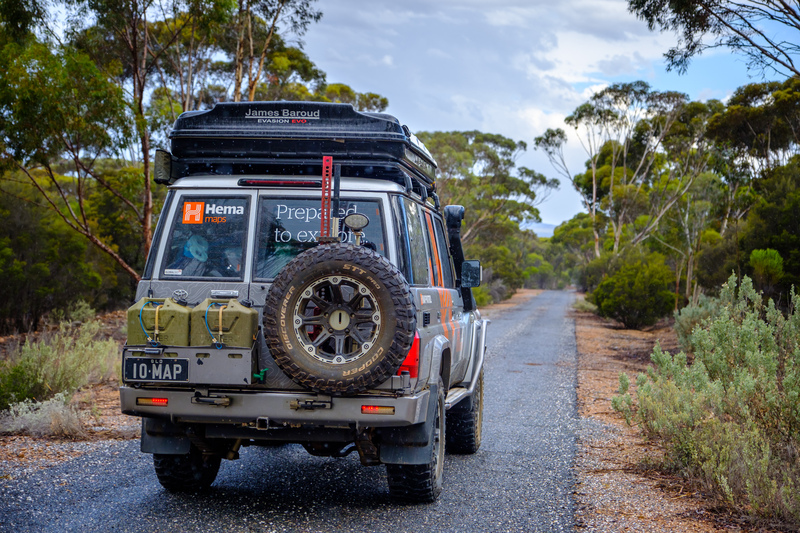 Keep a close eye on them.” That was several thousand miles ago, and I felt certain that the trek across Australia over sharp rocks, corrugations, and blistering tarmac had finally done the poor things in. I searched for a tear, but there were none. I checked for a puncture, but couldn’t find any. Then I ran my hand around the inside of the wheel and to my surprise, found that it, not the tire, had cracked. Amazing. After all this time and abuse, the STT Pros were still going strong. As we began changing the wheel, I couldn’t help but feel that these M/Ts still had plenty of adventure left in them. I decided right then to give these tires a shot back in the States and ordered some up for the Excursion as soon as I returned. That was in April, and by May, I had a brand new set of 315/75/r16 STT Pros mounted on Method Standard wheels. Over the next five months, I would rack up more than 15,000 miles on these tires while testing them on rocks, sand, mud, pavement and everything in between. They would endure the weight of a 9,000-pound truck towing a 27-foot trailer for thousands of miles, traverse mountain passes summiting over 13,000 feet, and tackle deserts so hot that we needed gloves to open our swing-outs. In the end, we learned a lot more about the STT Pro than we ever could have with a simple weekend evaluation and got in an in-depth look at their performance. So without further adieu, lets take a look at how these tires handled and held up over strenuous long-term use. 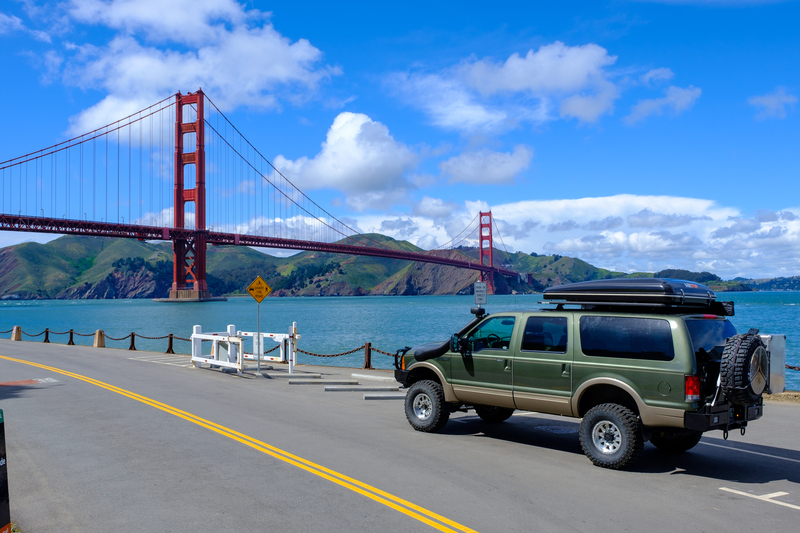 People like to put mud terrains on their four-wheel drives for all sorts of reasons, but it’s a pretty safe bet that road manners isn’t one of them. I mean, who knows, maybe someone just wants a tire that’s louder, less stable, and more expensive than an all terrain, but I doubt it. The reality is that most people fall in love with M/Ts for their dirt performance and aggressive looks, and are willing to give up a comfortable daily drive to get them. But what if a manufacturer could pack a tire with features that would not only make it more capable on the dirt, but also more livable on the pavement? That’s a question Cooper set out to answer with the STT Pro, their most advanced mud terrain to date. Now, let me be clear. I’m not suggesting that these tires are as quiet or comfortable as all terrains, because at this time, no M/T is. But I will say that Cooper has done an excellent job mitigating noise, vibration, and harshness (NVH) with the STT Pro. Where most mud tires become unbalanced and loud enough to induce headaches by 10,000 miles, these have remained reasonably quiet and smooth even at the current 15,000-mile mark. That’s despite the immense load placed on them by the truck and trailer. This is because Cooper spent an enormous amount of time honing the acoustic engineering, shaping, and balance of the Pro through countless test iterations during development. In the end, they wound up with a relatively low tread void ratio and alternating 3/2 inner block pattern, which was a hybrid of technology borrowed from their road-oriented products. Without going into too much detail, these features work together to improve stability by making the tire as round and well balanced as possible, while also significantly reducing noise by funneling turbulent air caused by rotation through specially sculpted channels that alter the tire’s harmonics. Both the research and development required to do this must have been impressive, but then again so are the results, as the STT Pro is quieter than the other two M/Ts I’ve tested long-term so far. Yet it’s not the only trick up Cooper’s sleeve when talking pavement performance. 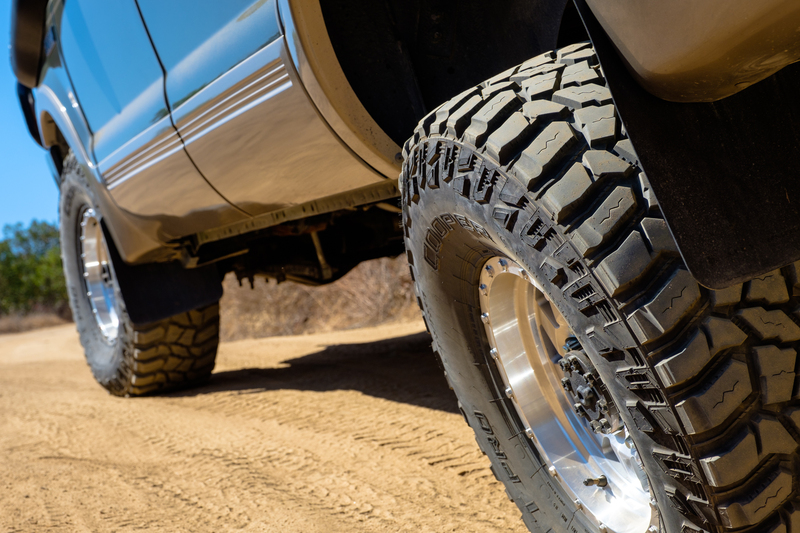 The STT Pro also uses a proprietary silica-infused rubber compound, which they claim improves traction in wet conditions, lowers rolling resistance, and minimizes the impact on fuel economy. In regards to fuel economy, we saw a dip of roughly 1.5-2.0 mpg after switching from A/T’s, which is pretty good but not ground breaking. 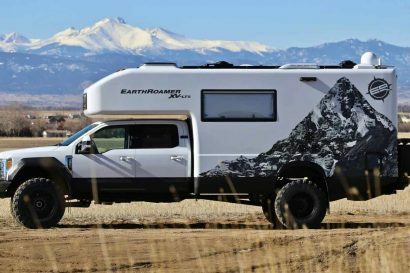 This also told us that rolling resistance was still the main factor in loss of economy, since the Pro’s weight of 69 pounds is actually lighter than many identically sized all-terrains on the market. Still, the tread pattern induced less wandering than previous M/Ts I have tested, and the vibrations weren’t as apparent, resulting in reduced driver fatigue on long trips. Cornering, acceleration, and braking all felt great on dry pavement as expected, but I was happy to see wet weather performance was good as well thanks to features like siping and silica-infused rubber. 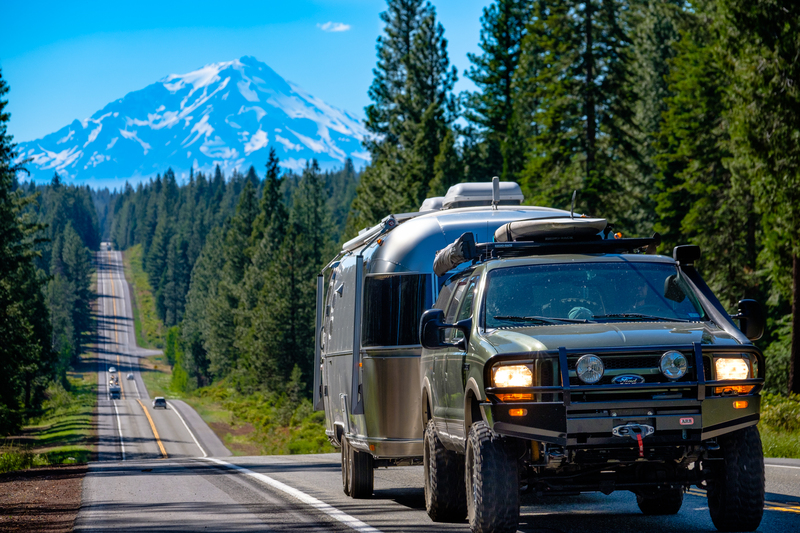 I was especially grateful when they came through for me during emergency maneuvers with the Airstream in tow. 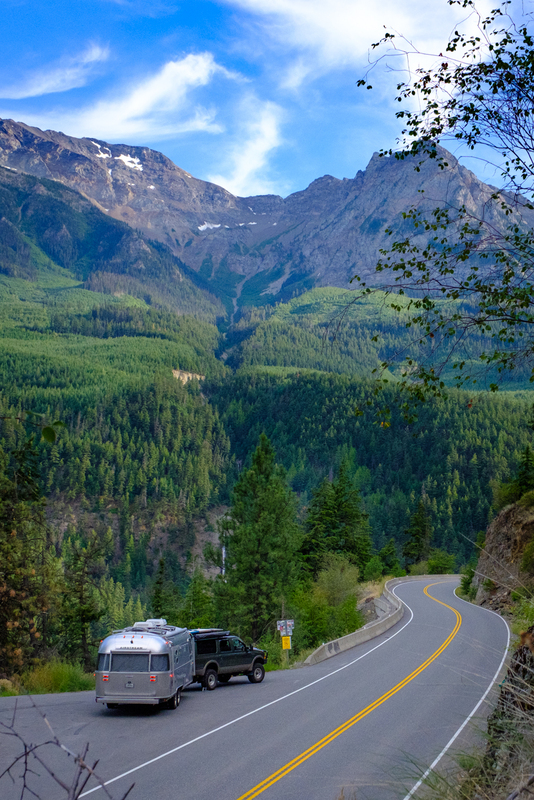 In that situation I had been crossing the Canadian Rockies on a rainy day when a minivan suddenly panicked and stopped in the middle of the highway after missing their exit. The left lane was blocked by an RV, so I was forced to swerve around the van on the right shoulder at nearly 60 mph. 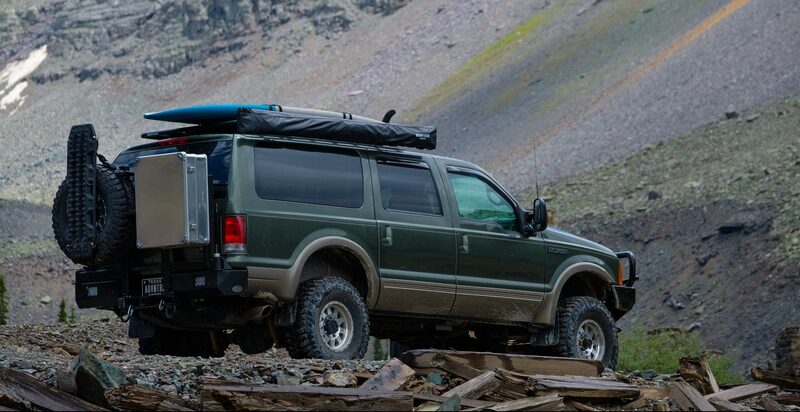 The trailer swung around, but to my great relief the Excursion’s tires maintained traction on the wet pavement, and their impressive lateral stability allowed me to keep the truck under control. These unexpected scenarios and sudden maneuvers at the edge of a tire’s envelope are what really separate the wheat from the chaff, and I was thankful to find that Cooper’s marketing wasn’t just fluff. I would generally expect a mud tire to do well on the dirt, but Cooper really took the STT Pro to the next level by packing it with all sorts of technology for increased performance. Of course, buzz words like Armor-Tek3 and sidebiters are all fine and good on paper, but we wanted to know if they really made any difference on the trail, so lets take a look. 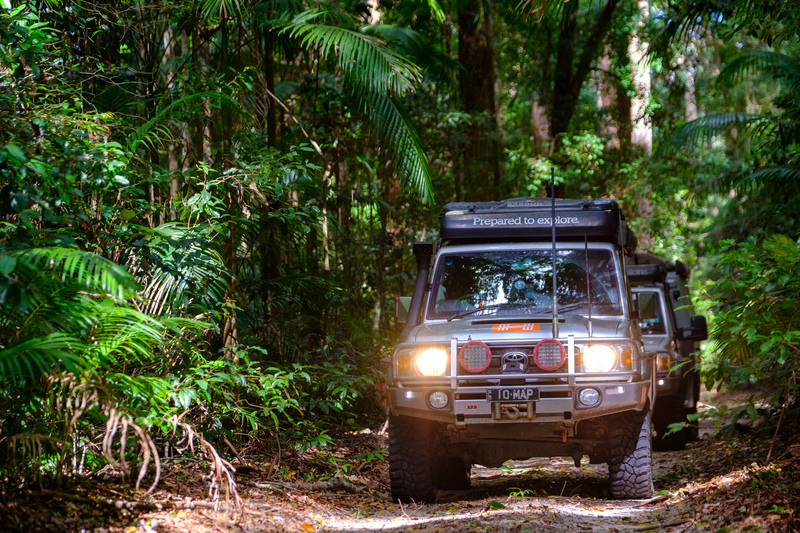 The bulk of the terrain we cover off-road is comprised of forest roads, backcountry trails, or two-tracks, and although this sort of terrain isn’t always technical in nature, it is often full of embedded rocks, shale, and other debris which can induce sidewall gashes or punctures. This is especially true in places like the Outback, where towns hundreds of miles apart may only be connected by seldom serviced dirt roads. To tackle these sorts of conditions reliably, Cooper integrated their Armor-Tek3 reinforcement into the STT Pro, but what does that really mean? Essentially, Armor-Tek3 changes the way that the internal plies run in the tire. In the traditional off-road carcass, the plies run the same direction with one layered over the other. This makes them easier, and therefore cheaper, to produce, but it also makes them easier to puncture. Rocks, sticks, and other debris that come in contact with the sidewall push toward the point of least resistance, separating the plies and slipping between them like squeezing through a picket fence. With Armor-Tek3, the third ply angle runs 8 degrees off, forming a criss-crossing pattern of cords resembling a chain-link fence, which make it much more difficult to pierce. In internal testing, Cooper found this switch made their new ST’s 66 percent stronger and 2.5 times more tear resistant in the sidewall than their previous generation tires. I was skeptical at first, but we had plenty of opportunity to drag, rip, and stab at these tires with rocks and debris of every kind, and they held firm. 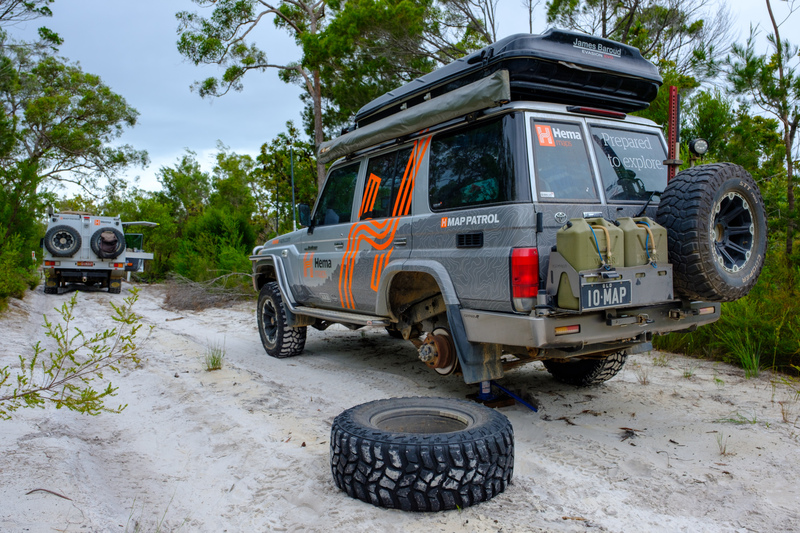 Even when we managed to tear into the rubber of the sidewall on Fraser Island, the tire experienced zero pressure loss as it never pieced the internal carcass. The downside to this durability is that on the E-rated variant we needed to air down quite a bit for the tire to deform around an obstacle. The sidewall was simply so stout that it didn’t want to flex. Ride quality on dirt roads was great, but we weren’t able to detect a big difference due to the flex grooves Cooper promotes on their website. We did, however, find that the anti-stone retention technology worked quite well, especially between the outer lugs. The center tread blocks still managed to pick up rocks now and then though, forcing us to pry three or four out after a long trip. By now, you may have noticed the alternating shoulder lugs on the edges of the exterior tread blocks. These appear like scoops, and are formed during the production process to serve two purposes. First, they provide different angles of grip to help keep the vehicle moving when utilizing the top edge of the tire. 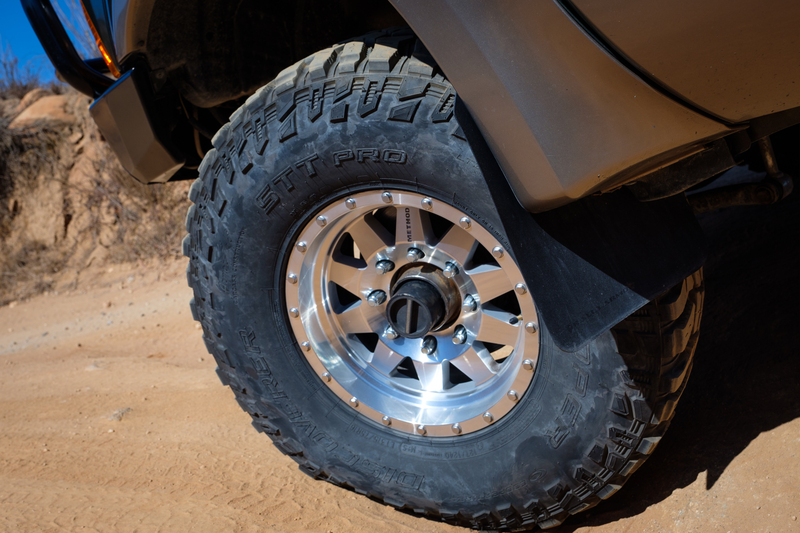 This makes a big difference when traversing long muddy stretches or soft sandy surfaces where a bit of tire deflection to one side or the other could produce the traction needed for forward progress. Second, the shoulder lugs actually control the tire’s weight, because the rubber removed from the scoop is pushed down the sidewall to form the side-biting lugs instead of additional rubber being pressed onto the carcass after the fact. The side-biting lugs in turn give the tire a big advantage in traction and protection, especially when tackling ditches at angles where heavy sidewall contact is necessary. 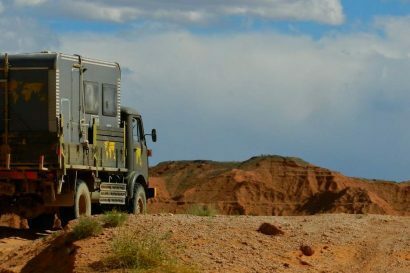 Where other vehicles would slip, our trucks were usually able to walk right up the edge on the sidewall itself. This technology, along with the proprietary tread pattern, helped give the tire exceptional soft surface performance. It was easy to gain and maintain momentum, and the tread voids cleared out nicely thanks to the mud-release dimples carved into the lugs. 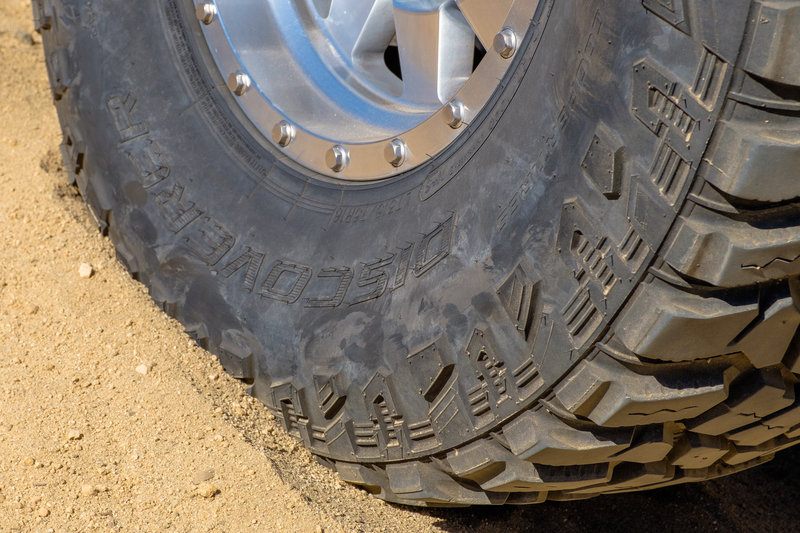 For those wondering, these dimples help to relieve tension on the soil allowing it to break free from the tread when it flexes during rotation, giving the tire a clean bite with each turn. 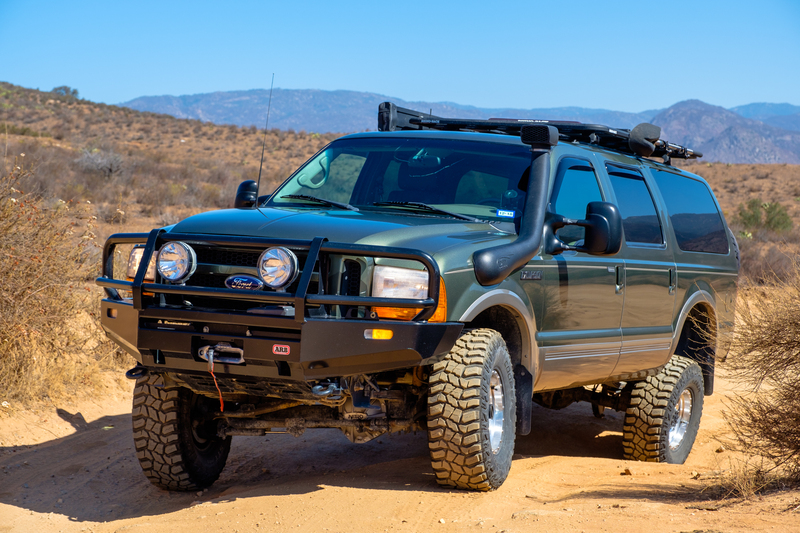 The offset tread blocks gave the Pro favorable lateral traction, so we didn’t experience any of the side slip or tail wagging we used to see from old-school M/Ts. I was curious to see if this held true in deep snow, but sadly we never got the chance to test it. For now, the Cooper STT Pro’s ability to handle winter conditions is yet to be seen. On rocky and technical terrain however, I was impressed by the compound’s ability to grip. Despite the stout sidewall decreasing deformation around rocks, the STT Pro was able to claw and walk its way up everything we pointed it at. 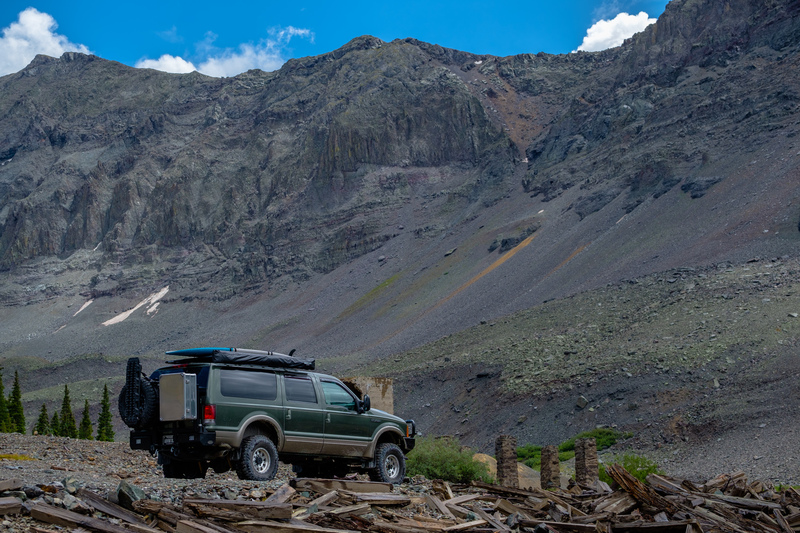 The ultimate example was on Imogene Pass traveling from the Ouray side to Telluride. 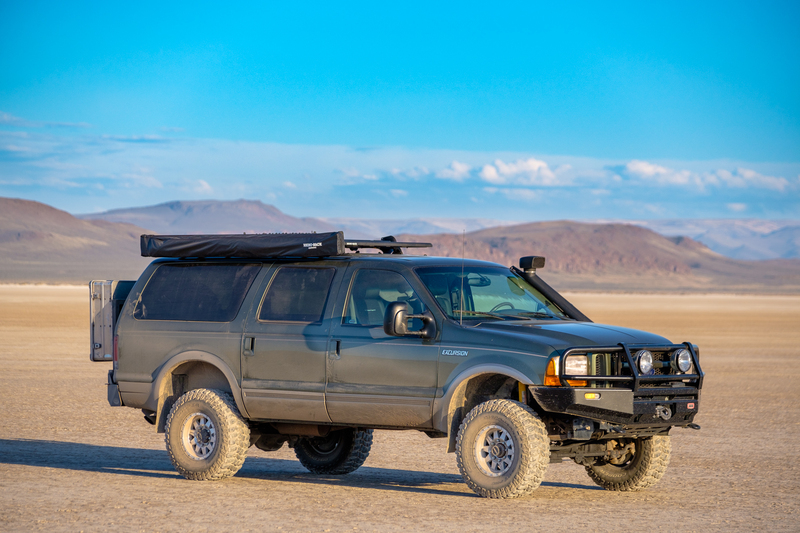 After watching several vehicles spin and fail to gain purchase on one wet ledge near the top, we gave it a shot with the Excursion and were able to climb it without a single slip. It’s no secret that M/Ts have a reputation for wearing out quickly. Their aggressive tread patterns are difficult to balance but easy to chip or chunk, and they require frequent rotations. 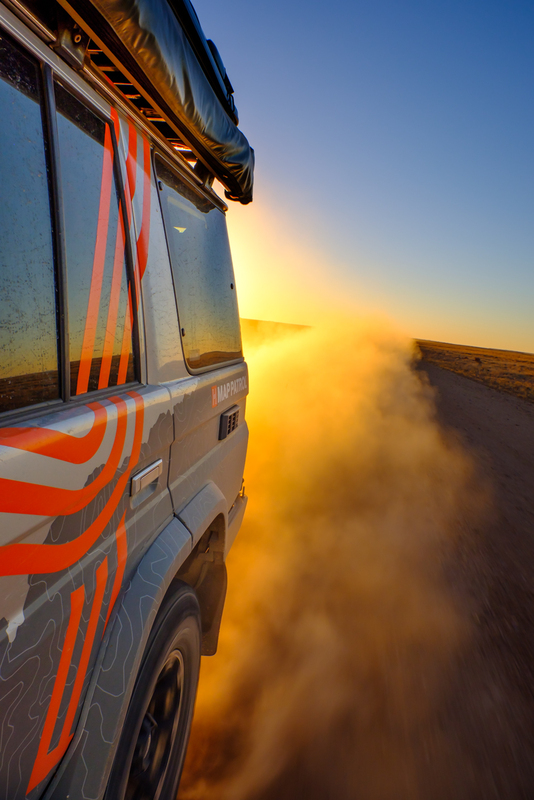 Unfortunately, working full time on the road our STT Pros didn’t always get frequent rotations, but after 15,000 miles, here’s how they faired. 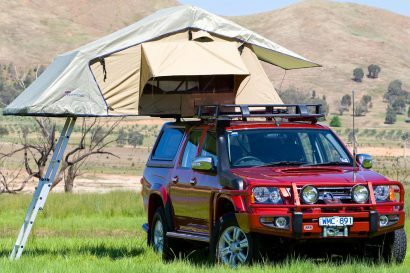 Fortunately, we also had the Australian Land Cruiser to evaluate for cupping, cuts, chips, and overall tire after more than 30,000 miles of hard driving. 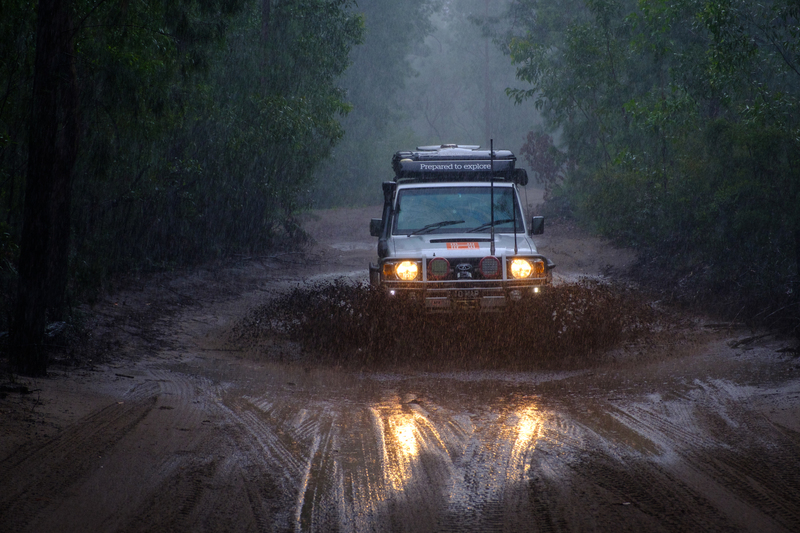 Those tires had begun to chip in places, but tread life and traction were still very good. Road noise had increased, but more regular rotations and a lighter truck helped to keep them as smooth as my tires are today. 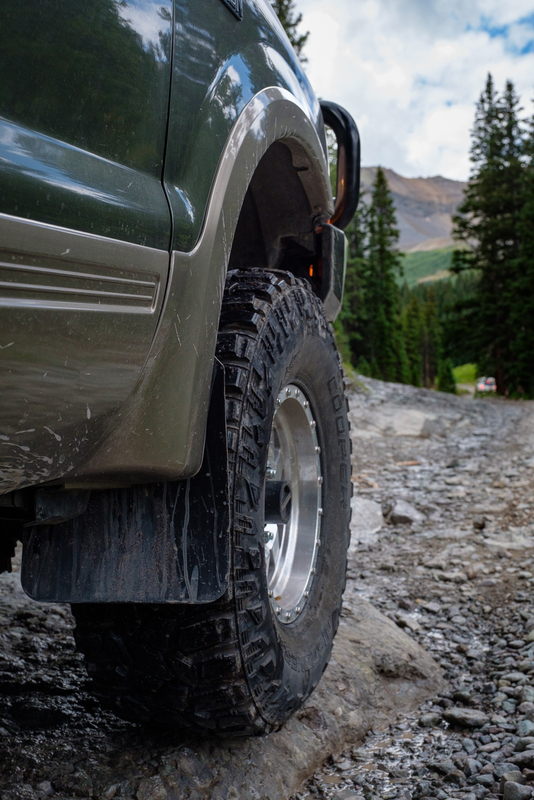 Cooper has found themselves at the forefront of the tire industry with only a few other innovative brands by their side, and the STT Pro is a clear sign of their commitment to pushing the boundaries of performance, comfort, and longevity across their range of off-road tires. 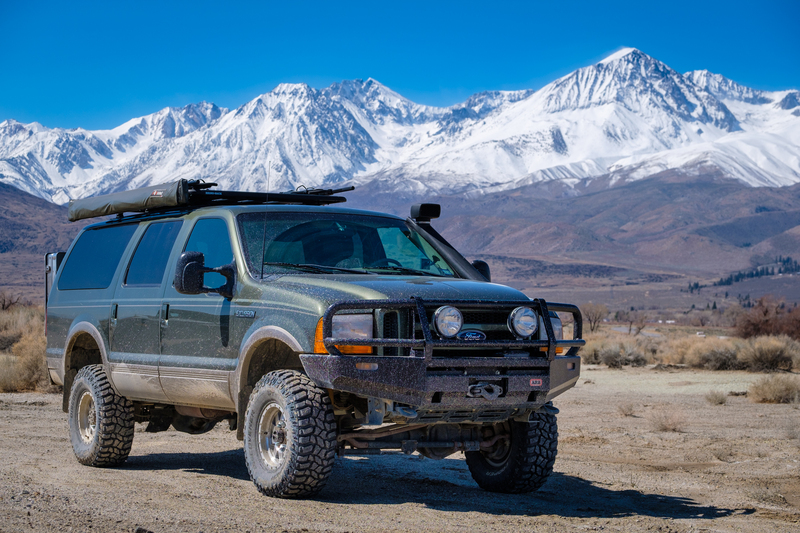 It showcases impressive durability and sidewall strength, exceptional off-road traction, and on-road performance that is truly leaps and bounds ahead of the howling M/Ts of 10 years ago. This all comes at a significant price tag of course, but if you’re willing to spend a little more on a set of tires that will last and not drive you insane on your daily drive, the STT Pro will do the trick.